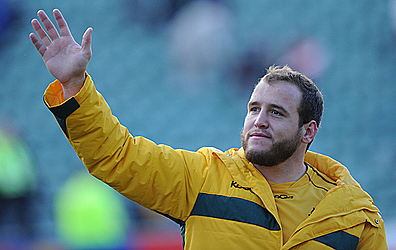 SYDNEY (AP) — Former Wallabies prop Ben Alexander has announced his retirement from top-level rugby at the age of 33. Alexander played 72 tests in a six-year international career, making his debut against France in 2008 and playing his last test against England in 2014. He also played a club-record 154 Super Rugby matches for the ACT Brumbies. Alexander was valued for his ability to pack on both sides of the scrum. Brumbies chief executive Michael Thomson paid tribute to Alexander as "a loyal club man and incredible talent."